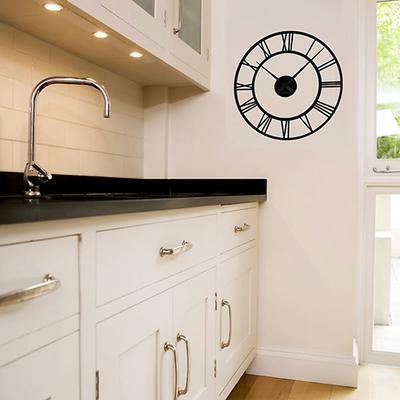 For those who love simplicity and huge clocks, we give you the Classic Clock Wall Sticker! Simple yet visually striking, it'll make sure you don't miss out on that appointment or run late for your errands. The clock and stickers are easy to setup. Just find a spot where you want to place the sticker. There's a separate set of clock mechanism included in the package. These need to be attached to the centre portion of the sticker to create the clock face. It's a simple but unique way of telling time. You can add this to your living room area or inside the bedroom, wherever you think it's necessary. It's a gorgeous piece that you shouldn't miss. Note: These wall stickers can be removed easily without damaging existing wall paint. They are made to order so returns are not accepted unless there's inherent damage to the product. They are also made to last so they are not reusable.